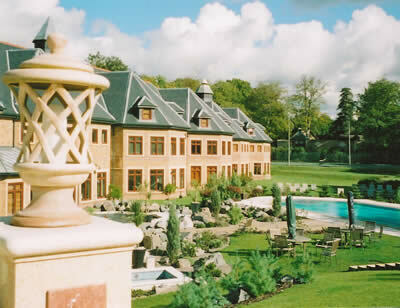 I did not expect to find the largest hotel spa in Europe, tucked away in a wooded park in plushest Surrey. But there it was: a giant assemblage of gables, brick, marble and glass, nestling among the trees. The monumentality of the place struck me as Imperial in its scale and ambition – and, indeed, the 19 th century references are deliberate, for this huge palace of swimming pools, exercise rooms and treatment parlours is attached to an 1850s ivy-clad manor house. 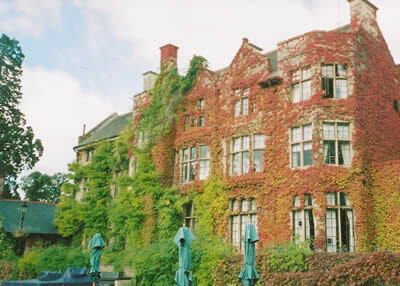 And the manor house is a highly impressive hotel: Pennyhill Park. I turned the Royce off the busy A30 and onto the long drive. Very soon the bustle of the outside world seemed far away. Indeed, throughout my stay, I was to find the sense of being deep in the countryside quite remarkable. For the park is so extensive and the trees (many of them very beautiful and, clearly, of great age) so cleverly positioned, that there is no sign whatever of the world beyond the estate. I eased the Silver Cloud into a comfortable space near the main entrance. The old dear seemed at ease in these surroundings. The buildings seemed at first Victorian of the vernacular sort, but closer examination revealed most of them to be almost new, for the original house has been massively expanded to create the hotel of today. In the entrance hall a fire of blazing logs was a welcome sight after my wearying trudge around London’s orbital motorway. Then I was taken to my room by Charlie, a jolly young fellow from Tasmania. Our brief walk was through a corridor of red brick, a thoroughfare which reminded me of the passages at Keble College, Oxford. (Not my own college, you understand, but one had friends in the oddest places.) But no undergraduate ever had a room like ‘Flaminio’. Those persons familiar with the world of rugby football (in whose number I am not to be counted) will know the significance of this name. It is, I am told, the appellation of a rugby football ground. England’s rugby team has for some years stayed at Pennyhill Park before its sporting engagements, and therefore it was thought appropriate to use this particular nomenclature. I was pleased by the apartment’s generous space, its dark, masculine colours and its abundance of high quality woodwork. 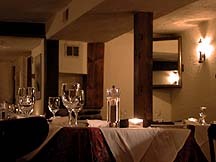 This was a junior suite and therefore £376 a night for two (bed and breakfast and Spa entry). I liked other aspects of the accommodation, too. Pieces of antique oak furniture and good Persian rugs on the tiled floor added elegance, both the sofa and the bed were supremely comfortable, coffee- and tea-making facilities were neatly tucked away in a handsome leather box and a pleasant view was to be had through the large window of the lawns sloping down towards the Spa. One tip: do not become agitated by the apparent absence of a ‘Do not disturb’ sign. It is the teddy bear – which, when you require privacy, must be hung outside your door. My bathroom was quite splendid. Large, well-lit by spotlights, with under-floor heating, a walk-in shower, a bidet, a roll-top bath tub, two wash basins, 6-foot towels and a television with a radio facility. This last item is not my favourite bathroom item – that is still, inexplicably, a clock – but it did enable me to have my soak to the soothing melodies of Classic FM. With so much space and with the stirring melodies of Aaron Copeland, I felt I was in California. I noted a couple of weaknesses of the room. It was on the ground floor, but lacked net curtains (to be opened or closed, according to one’s circumstances, during the day). And the lighting in the bedroom was insufficient without the bright chandelier, and such overhead light was too harsh for me. I mentioned these points to the relevant authorities, so I expect they will be remedied very soon. I express this confidence because the staff of the hotel – under the genial General Manager, David Broadhead – struck me as efficient, highly motivated and very proud of its establishment. 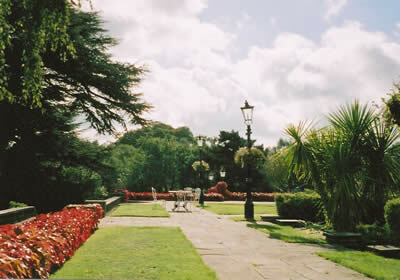 Pennyhill Park has two dining rooms in which to try the food of executive chef Andrew Turner. I tried the smaller one for dinner. 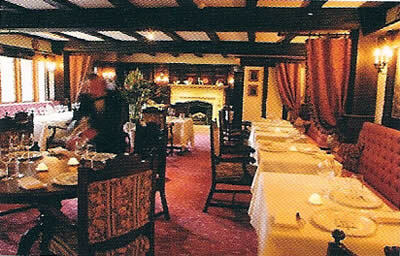 The Latymer Restaurant (pictured) is low and dark, with a beamed ceiling, wooden panelling and a stone fireplace. I settled myself onto a pink banquette, with Schott glassware and a white tablecloth in front of me, and looked at the wine list. 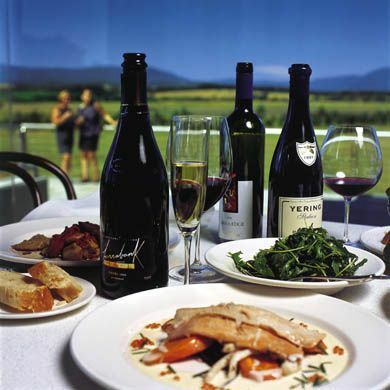 Most unusually, the vast majority of the wines offered can be had by the glass. So, for example, Australia’s grandest red, Penfold’s Grange, in its 1998 vintage, is either £400 for a bottle or £100 for a glass. The list whizzes round the world to good effect, with the great 1997 Solaia from Tuscany for £300 and 1998 Chateau Musar from the Lebanon for £54. France offers the strongest section, however. The legendary 1967 vintage of Yquem is available at £1,600 and 1989 DRC Richebourg is £1,000. Clarets include 1961 Langoa Barton (£380), 1986 Haut Brion (£320), 1990 Mouton Rothschild (£280) and an Impérial (8 bottles) of 1982 Lynch Bages (£3,200). I went to Burgundy and Bordeaux for my own drinking: a white Côte de Beaune which hesitated, and then yielded an elegant, clean structure, with notes of mineral and neutral fruit (St Aubin, 1er Cru, Le Charmois, Michel Picard, 2002 - £65), and a red St-Emilion of damp oak and stern demeanour (Chateau d’Arvouet, M.Moreau, 1995 - £52). Two courses are £45 and three courses are £55 from the brief menu. I began with a simple, decently done, double-baked goat’s cheese soufflé. Then, as I am one of the few people in the world who likes liver with dry wine, I tucked into a terrine of foie gras and duck, with pear chutney – an assembly of rich tastes. My main course was lamb, with pink best end and braised shoulder, with broccoli purée. And my finale was as good as it sounded: roasted pineapple with coconut sorbet and marshmallows. This repast assuaged my hunger until the morning, when I awoke ready for a good breakfast. And that is precisely what I got. I was now in the St James Restaurant, a vast bright chamber with lots of windows and a buffet running its entire length. As usual, there was much marble and exposed stonework. This time they were joined by works of stained glass, some of them with improving texts. From the buffet I obtained dishes of melon and pineapple, while Doris – a friendly lady from the Seychelles – brought to my table a glass of freshly squeezed orange juice and a plate of delicate, delightful, smoked haddock. It was during the course of eating this fish that I noticed the white statue in the middle of the room – of Aphrodite, I think. I returned to the St James Restaurant for lunch. 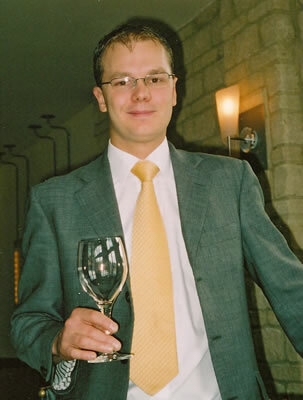 The manager of the restaurant, Cedric Tanguy from France (pictured), had already looked after me very well at dinner the previous evening in the other dining room. Now he was here and brought to my table a bottle of wine of superb quality. About a year ago, I had visited the vineyard at Gaiole-in-Chianti at which this wine, called ‘50 & 50’ because it is a combination of half merlot and half sangiovese, is produced. But I had not tasted it. Now here it was, in its 1999 vintage (Avignonesi & Capannelle - £180). Cedric had decanted the wine – a wise decision, for the colour was still purple. Over the course of the meal its black fruit became increasingly mingled with the tastes and aromas of tobacco and leather. Its compexity lingered in the throat to delicious effect. Truly, this was superb drinking. Well done, Monsieur Tanguy. Never a fellow to let a mealtime slip by without action, in the late afternoon I took myself off to the bar for tea (£18). ‘The bar’ does not do justice to this substantial chamber of comfortable chairs and sofas. Next to paintings of racehorses, I lowered my frame into a wing chair and sat back while the solicitous Jacques Olmo from Provence helped me to enjoy this English institution. With great care he poured Earl Grey through a silver strainer into a Wedgwood cup, brought me delicate sandwiches and tiny pastries and even packed some of the cream cakes into a box for me to take away. Such formal courtesy and care is my lasting impression of Pennyhill Park. It was quite a shock when I turned the Royce back onto the A30 and encountered the rest of the world once more. Oh, but what of the Spa? Well, I am sure you did not expect me to indulge in any physical jerks. But I did go for a sightseeing walk around its vast interior, marvelled at one of its swimming pools (pictured) and even – for a brief moment – sat in an exercise chair. The Spa, I felt sure, must bring pleasure, pampering and pummelling to many good folk. Then I pottered back to ‘Flaminio’ and thought about my next plate of foie gras. London Road, Bagshot, Surrey GU19 5EU, England.